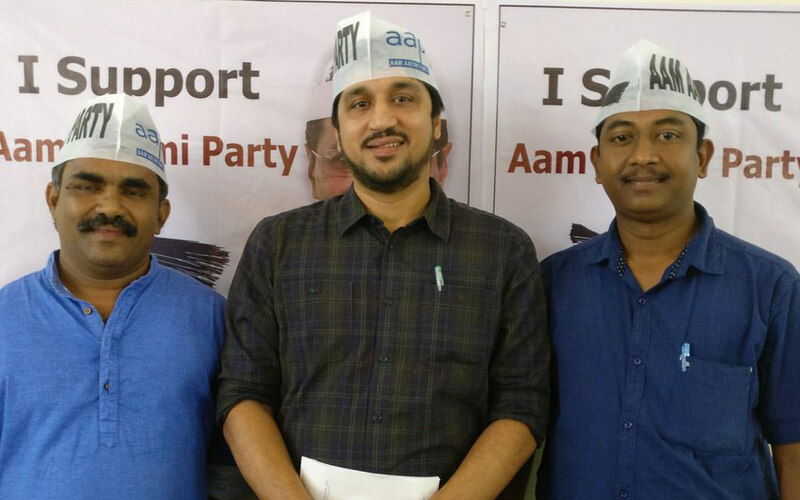 Panjim: The Aam Aadmi Party also step forward on the Upcoming Goa Assembly Election in March 2017. Here, today on September 13, the Party announced their first Four AAP Candidate list. The Party has already announced that they will contest all 40 constituencies in Goa Assembly Election. The Official AAP Goa Twitter page shared the name list Today around 01:00 PM. The List of First Four AAP Candidate list is provided here below. The Valmiki Naik is the AAP’s state secretary and now, he will contest for his part from Panaji constituency. Union Defence Minister Manohar Parrikar has sat on this constituency. Currently, Siddharth Kuncolienkar is the represents of Panaji constituency. He is BJP legislator. Molu Velip is the former important assistant of BJP leader, state minister Mahadev Naik. The AAP announced that he is a new join of their party and he will contest from the South Goa of Shiroda constituency. According to the report of GoaNews.com, “Molu is a grass root worker who has built a team from the scratch. AAP will always honour such honest workers,” it has quoted by Advocate Surel Tilve, who is a member of the party screening committee. Ajit Sigh Rane is the Former chief of Siva Sena, Goa. Now, he will contest from North Goa of Mayem. He joined with AAP recently in August 2016. Rane is also standing in the position as labour union leader. He protests various needs for the labours. Recently, he protests against Industries in Goa to demanding compensation for loss faced due the long ban. This constituency is currently under the representation of Anant Shet. He is the BJP legislator and also as a Goa Assembly Speaker. Cruz Silva will contest over the Velim constituency. He is a businessman in his locality and he joined in AAP in April 2016. Also, he is former Ambelim sarpanch. The constituency is currently represented by the Independent legislator Benjamin Silva.